The upgrade from SCOM 2012 SP1 to 2012 R2 isn't complicated. For this reason I won't describe these steps now. But there are some improvements and changes which I will describe instead. During the upgrade of the agents and discovery of new Linux server I've found some pitfalls. Hope you enjoy reading. If you are a newbie, have a look about my SCOM 2012 SP1 pages. This issue is now completely gone and the installed agent has a valid certificate! Congratulations Microsoft you've got it. If you see the following window, I found a rather old agent installed on the system. Sometimes the permissions of the /temp directory are not sufficient. [root@<hostname> ~]# rpm -e ??? The only known solution to this issue is to repeat the agent upgrade/deployment serveral times. Normaly it will be successfull after the second or thrid attempt! Crazy isn't it? If you dont't want to go this strange way, you can deploy the agent manualy by copying and excetuting the rpm -U ... command. SCOM complains about daemons not running. 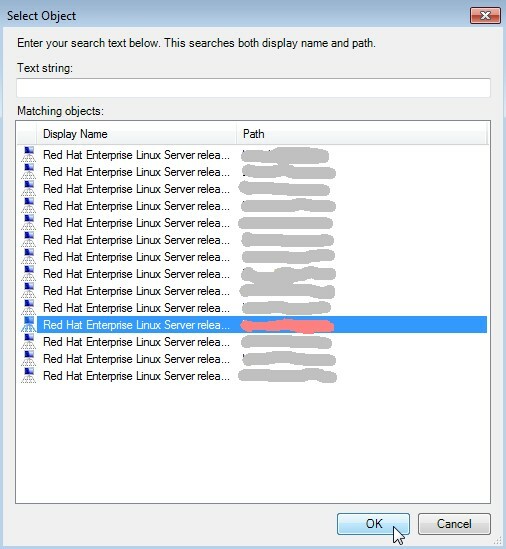 That seems to be OK but not every RHEL server is used as NFS server. We have to work around this issue. If your server doesn't mount any NFS shares or act as a NFS server you don't have the needs to run these daemons! The SCOM server(s) doesn't have the intelligence to recognize that there are no exports or autfs or NFS-Shares on the Linux server and complains for this reason all the time about missing daemons. Because this is annoying we have to switch of the alerting for every server which doesn't need the daemons. Here is a link about that and I will show some images. First open in the alert pane using right mouse button the "Health Explorer"
Second select the alarm and select "For a specific object of class" out of the "Disable the Monitor" item. Third and last step: select the appropriate server out of the list and click OK. There are a lot of more daemons SCOM complains about. For example the ACPI daemon. To have the philosophy in mind that just the daemons have to run which are necessary for the workload, your Linux admin might have disabled a lot of them. For this reason we have to get rid off the SCOM alerting, please follow the steps above. SCOM needs a full functional DNS lookup. 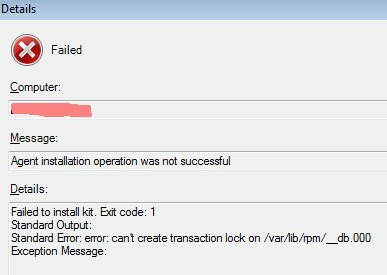 If there is any misconfiguration you get errors during the agent deployment. 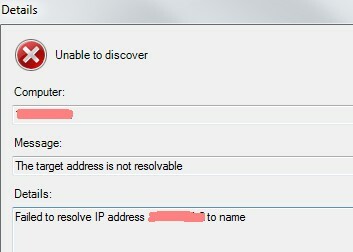 Details: Failed to resolve IP address <server-IP> to name. If there is any firewall between the SCOM servers and the server to manage the appropriate ports have to be opened. In our scenario the ports 22 and 1270. 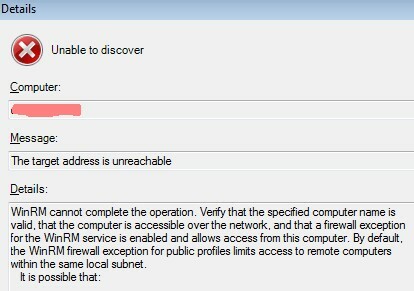 If the following message occurs the user opsmgrsvc has not the permissions to install the SCOM agent scx package. Maybe there was something wrong with /etc/sudoers. Sometimes it's a must that an virtual appliance must have been monitored. 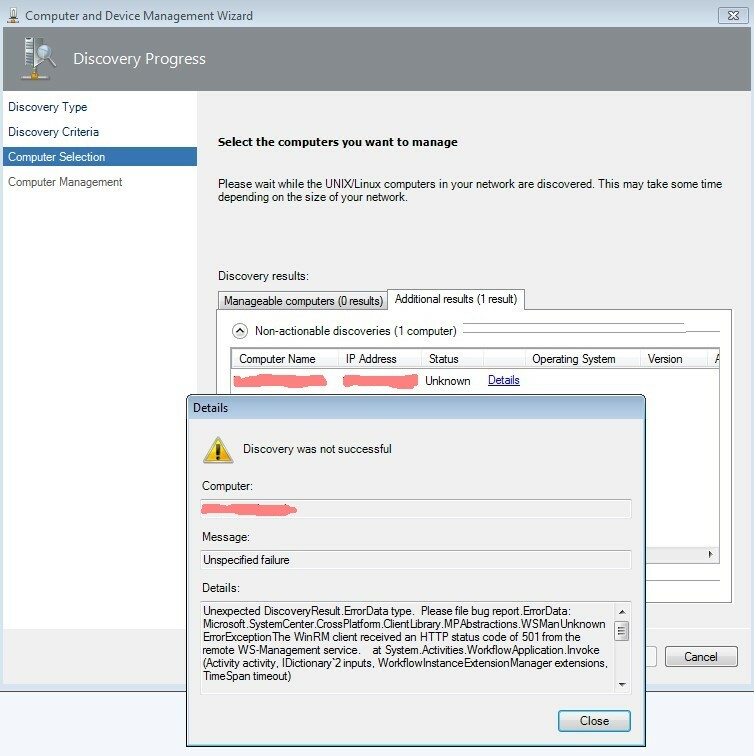 I tried to deploy the SCOM agent on VMware vCenter Log Insight, these are my results. 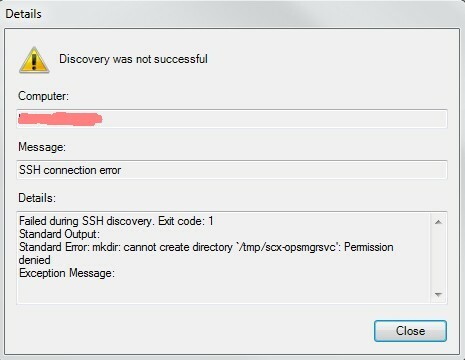 We have to add opsmgrsvc to the group wheel, because in /etc/ssh/sshd_config the AllowGroup directive permits the login only for members of wheel! Now we have to fetch the SCOM Agent out of our SCOM Server. The virtual appliance is based on SuSE Linux Enterprise (SLES) 11.2 64-bit. cd "%ProgramFiles%\System Center 2012\Operations Manager\Server\AgentManagement\UnixAgents\DownloadedKits"
Now we can start the discover process, which will be successful. After you have selected the Manage button there might be some errors. The preferred way is now to delete the SCOM agent! As you remember from former chapters the certificates won't be deleted during this action. That's what we need! 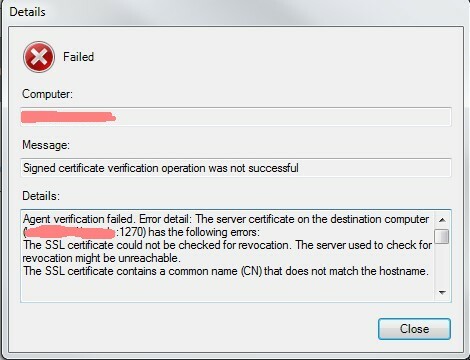 The SCOM agent does some things in the background which results in invalid logins. These are fetched by the pam_tally module which results in disabling the opsmgrsvc account! For our conveniance I create a symbolic link which is named like the original file. drwxr-xr-x 3 root root    4096 Jun 17 11:16 .
drwxr-xr-x 4 root root    4096 Jun 17 09:50 ..
You can download this page as pdf file [349 kB]. On this page I will provide some additional information about the SCOM agent.